Over the last couple of months, I’ve been busy wrapping my next book, Wrong Side of the Grave, which will be the first in a new series of standalone Mothman Mysteries. The series will be YA/teen and this time, kiddos, I’m delving into sci-fi. But you know me, this series has strong paranormal influences (think Doctor Who). So what’s my YA Sci-fi Mystery about? Mothman. 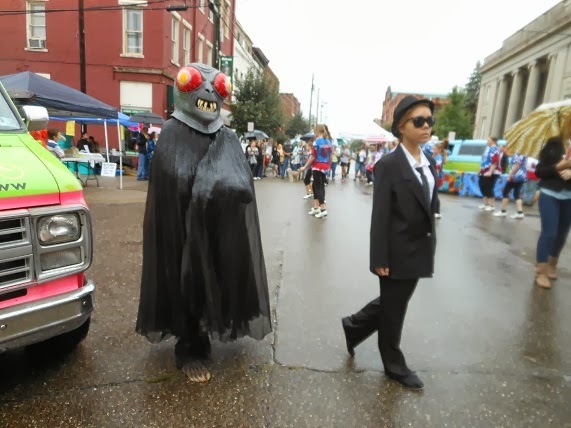 In western West Virginia, Mothman is a creature of legend. 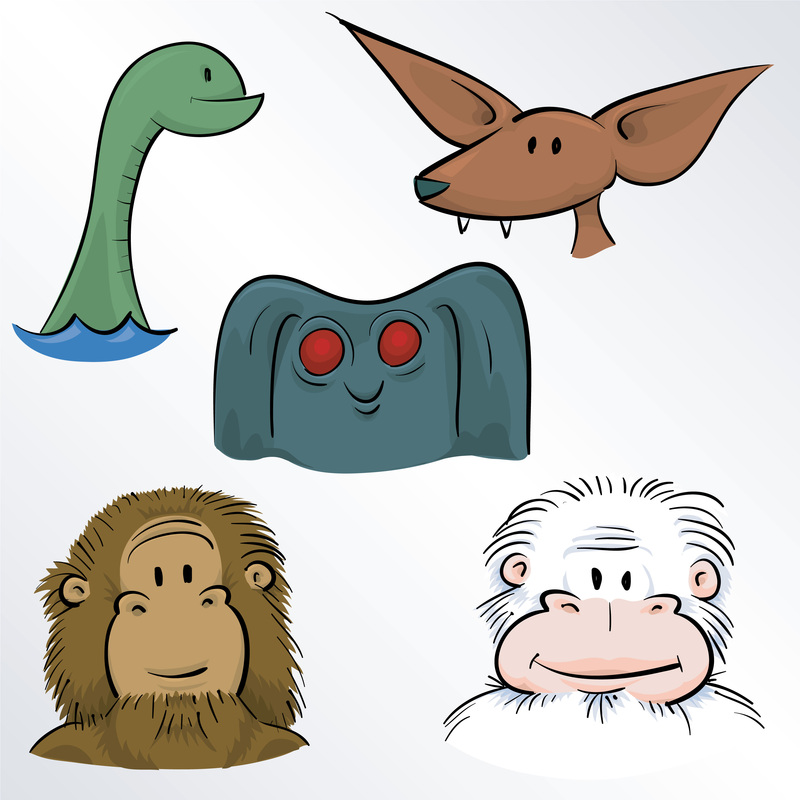 In fact, there he is below with the big red eyes and gray wings nestled in the center between Nessie, Chupacabra, Bigfoot and the Yeti. He’s in good company. Mothman is a winged humanoid creature. He stands on two legs, but his skin is gray and he has big red eyes that rest near his shoulders. The moth part comes from his giant wings that are reported to hum and glide on the air rather than flap. He doesn’t need a running start, witnesses say these great wings can straight up into the air like a helicopter. 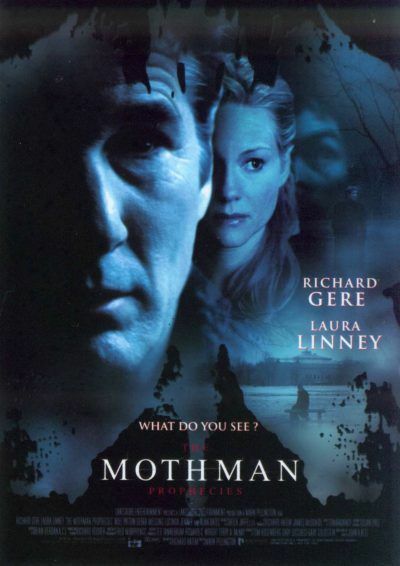 Mothman caused the biggest stir in 1966 and 67 when according to journalist John A. Keel more than a hundred people sighted him in the area surrounding Point Pleasant, West Virginia. Some even blame Mothman for the tragic collapse of the Silver Bridge in which took forty-six lives just days before Christmas in 1967. He’s been mentioned on the X-Files, been the star of movies, chased by reality show hillbillies, and has his own museum. There’s even an annual festival where the Men in Black trot him out for festival goers to catch a quick selfie! Over the next few weeks we’ll explore the legend, the art, and the music behind this new series. Next week, I’ll share with you how I’m taking this legend and giving it a YA twist. Until then, check out the Mothman Mysteries page on my site for a description of the book and the official Spotify playlist. Only one legendary creature rocks out loud! Wow! I am so in AWE of your webpage and amazon page. Would you be willing to help a newbee pal out and sponsor an amazon link to my book? Don’t have a clue how to set up my own webpage yet, but I’m looking forward to getting it worked out.